After the runaway success of Daredevil earlier this year, Marvel and Netflix had a new bogeyman to deal with even more frightening than the Kingpin: expectations. 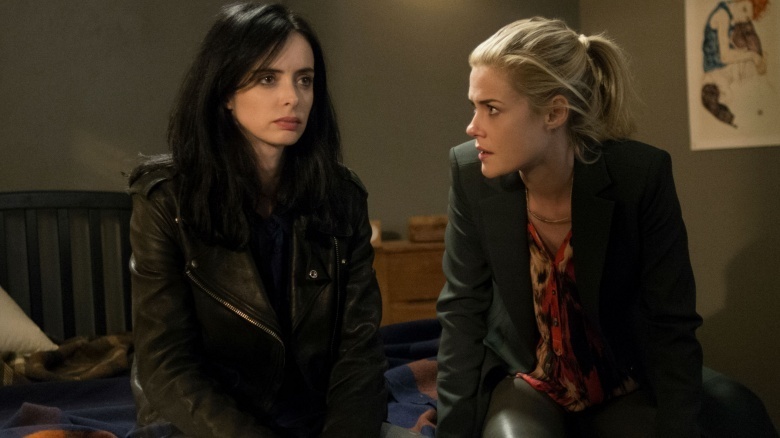 With critics and fans now expecting the world of the follow-up series Jessica Jones, could Marvel deliver yet again? Or would Jessica Jones prove to be the first real black mark against Marvel's otherwise charmed record? Well, now we know the answer, and not only does Jessica Jones meet those expectations, it exceeds them. Here's a look at all the good, the bad, and the weird that makes Jessica Jones arguably the best thing Marvel has done yet. Marvel has stated in the past that it doesn't view superheroes as a genre, but rather a form that can be used to tell any kind of story. For example, Captain America: The Winter Soldier, which I consider to be the best film Marvel ever made, was described as a 1970's-style political thriller in the vein of Three Days of the Condor, only with a superhero overlay. That mindset is on full display with Jessica Jones, which isn't a superhero story at all, but rather a classic detective noir story that just happens to be set in the Marvel Cinematic Universe. Series creator Melissa Rosenberg fills the show with noir tropes ranging from music and dialogue patterns to signature visuals such as steam rising from manhole covers or silhouettes framed by the Alias Investigations front door pane. It could have been too much, and played as hacky or silly. Instead, pairing those Old Hollywood signifiers with the energy of New Hollywood's superhuman age breathes new life into both and gives Jessica Jones a feel that's unique from either. Beyond style, there's another trait Jessica Jones shares with Captain America: The Winter Soldier that helps explain why the show transcends the rest of the Marvel Cinematic Universe, not to mention superhero shows and movies in general: it's actually about something. All too often, superhero movies and shows are their own justification. They're about a guy running fast, or a guy hitting hard, and while there's some kind of vague statement of purpose—like "with great power comes great responsibility"—they usually don't really have anything to say other than "superheroes are fun and cool." Well, superheroes are fun and cool, but they can also be more and mean more. Captain America: The Winter Soldier proved this with timely and insightful commentary on the post-9/11 struggle between freedom and safety and the toll it takes on our ideals. Jessica Jones has something to say, too, and it's a message that is maybe even bigger, more important, and more expertly delivered—a message about abusive relationships. And not just the obvious one between Jessica and Kilgrave; nearly every relationship in the series is an examination of power in relationships, and the abuse of that power. The relationships between Jeri Hogarth and the two women in her life, the relationship between Trish and her mother, the relationship between Trish and Simpson, even the relationship between Jessica's upstairs neighbors, the two wacky twins—they're all exploring different facets of emotional abuse, how and why the abuser uses power, and how the victim responds and ultimately survives. Or doesn't. Setting this discussion within the context of a superhero story isn't just ballsy, it's subversive. 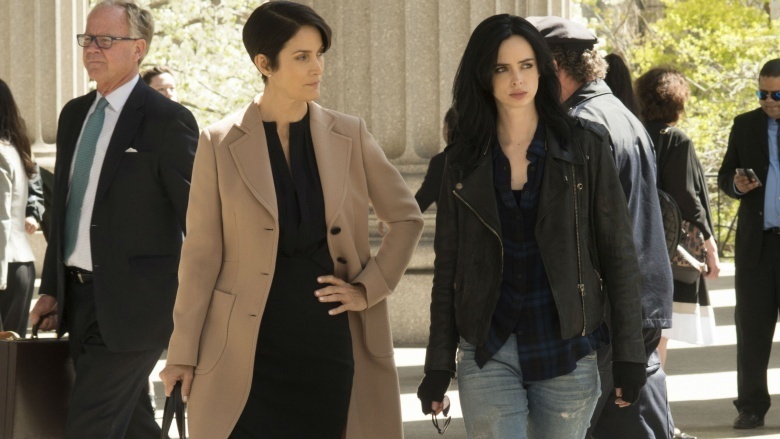 Rosenberg is using Jessica Jones as a Trojan horse to deliver a message of female power and survival within a medium traditionally associated with overt male power fantasies, and popular mostly with men and fanboys. It's a message for an audience that may not otherwise ever receive it—a powerful and necessary one. A big part of the fun in most Marvel movies or TV shows is their interconnectivity. We get a little rush every time some cool character is referenced, or some plotline from the comics is set up. 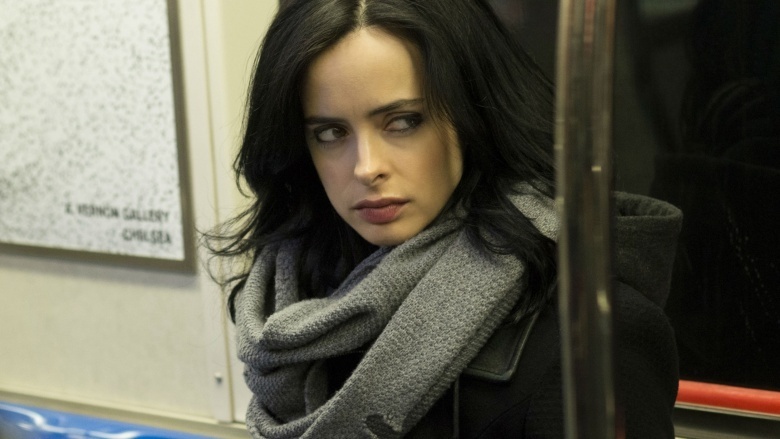 So it's a bit ironic that being part of the Marvel Cinematic Universe actually kinda drags Jessica Jones down a bit. Why? Frankly, Jessica Jones is strong enough on its own merits that it doesn't need to be propped up by easter eggs and in-jokes. Instead, while elements key to Jessica's story like her relationship with Luke Cage are well handled, all of those other little bits and pieces add up to distractions more than extra value. 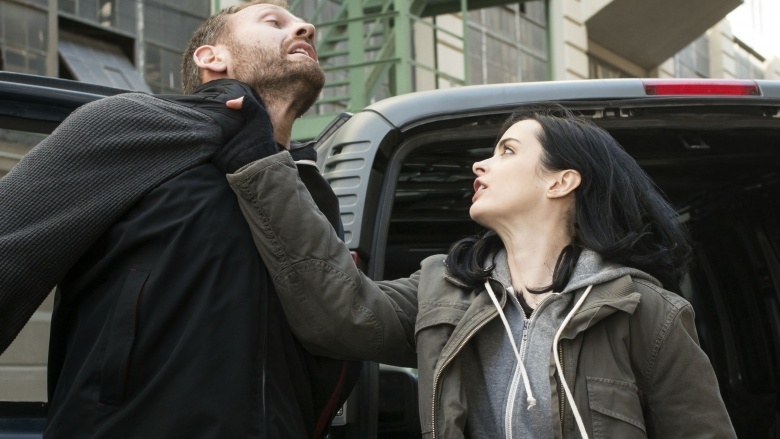 Jessica Jones doesn't need Daredevil's Claire Temple to keep our interest. Instead, those little winks pull us out of the story at random moments, because they don't actually serve the story, they just serve to further Marvel's long-term agenda. 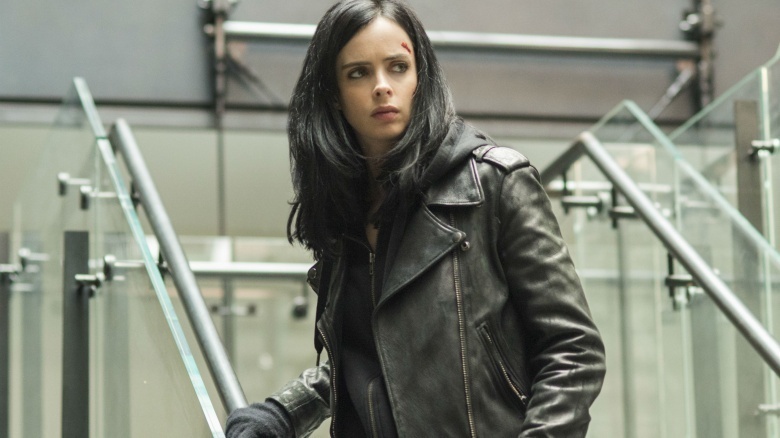 The MCU might be richer for it, but Jessica Jones ends up poorer. 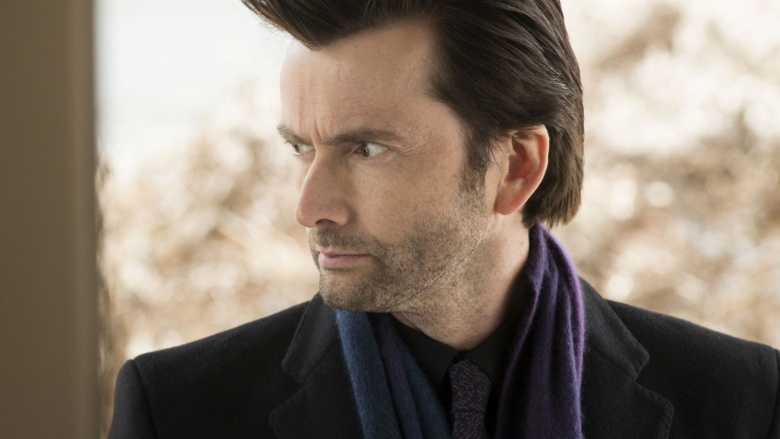 It's almost impossible to single out one actor, because the acting on Jessica Jones is top drawer across the board. 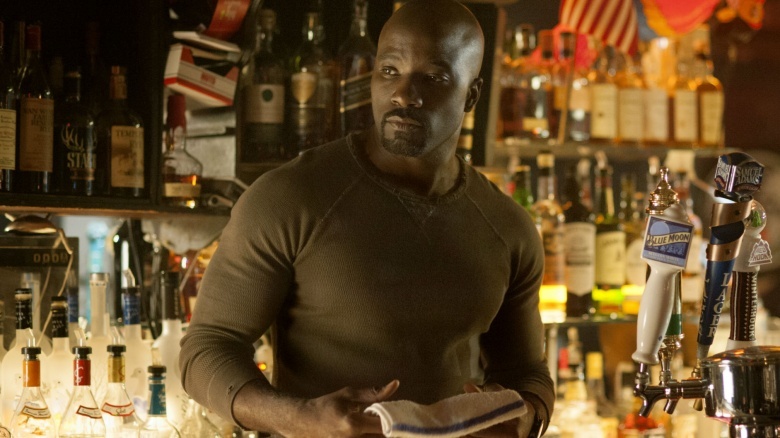 Despite that, four actors in particular should be mentioned, as the main characters are absolutely nailed by Mike Colter (Luke Cage), Rachel Taylor (Trish "Patsy" Walker), David Tennant (Kilgrave), and especially Krysten Ritter in the title role. Not only do each of these actors deliver a bang-up job individually, the chemistry between each pairing was off the chain. Even the best actors can't fake chemistry; we've all seen plenty of projects go down in flames despite stellar casts because the actors just didn't work well together. There was no such problem here. Rosenberg and the producers at Marvel deserve a ton of credit for such spot-on casting—and the cast itself deserves even more for knocking it out of the park in every scene. As excellent as the material is in Jessica Jones, there just doesn't seem to be quite enough of it for the length of the series. Thirteen episodes may have worked for Daredevil, but Jessica Jones feels like it really should have been nine or maybe ten episodes, tops. The first half of the series moves along with crackling energy. But somewhere along the way, the pacing becomes muddled, with long digressions, and subplots focusing on minor characters. As a result, the second half of the series feels a bit aimless even when it isn't. 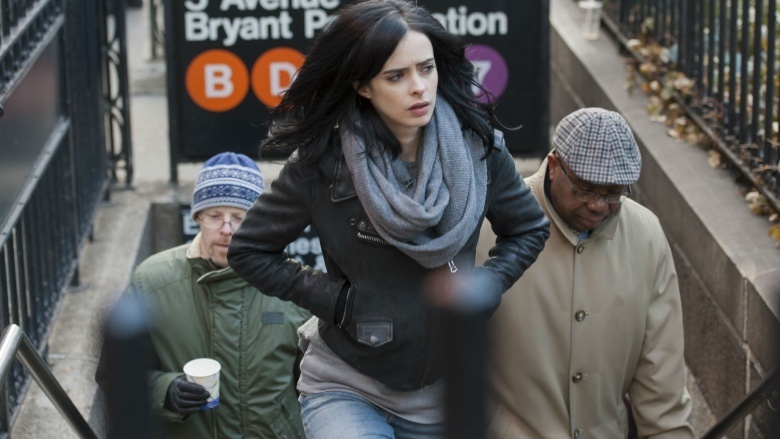 Netflix might need 13 episodes, but the story Jessica Jones is telling doesn't. It's too bad the showrunners had to stretch the material to fit an arbitrary episode quota. The Weird: What's Up With All Those Supporting Characters? Okay, so Malcolm is really cool, and his arc is both strong and interesting. But Jessica Jones occasionally comes close to going off the rails because it spends way too much time focusing on not just secondary characters, but tertiary characters like wacky neighbors Robyn and Ruben. Yes, some of those arcs have thematic importance, but you know who also has a thematically important story arc? Jessica Jones, the compelling lead character we actually want to be watching instead of, you know, another support group meeting. Even the bits with Jeri and her love triangle start to get a bit much, but at least those have some kind of plot payoff. Hopefully next time we can keep the focus on Jessica, Trish, and Luke—and even Malcolm!—and leave the rest of these background weirdoes where they belong: in the background. Jessica Jones is a groundbreaking, innovate series that is occasionally hindered by the burdens of being both a Marvel and a Netflix series. Despite this, it's still the best thing Marvel has done to date, while also suggesting that if the studio simply puts story instead of brand first, there could be even better things to come in the future. 9/10.